It's as groovy as ever. 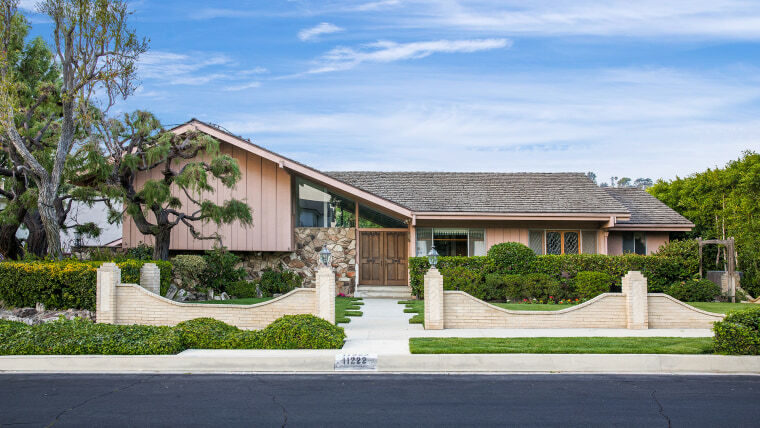 Nearly 50 years after it graced America's antennae-clad TV sets, the iconic house that served as the backdrop of “The Brady Bunch” is now for sale. The home was purchased by Violet and George McCallister in 1973 for $61,000, and was used in the show from 1969-1974. Now, it’s on the market for $1.885 million. Located in Los Angeles’ Studio City neighborhood, the 12,500-square-foot split-level home is nearly the same as you remember it. While the house was only used for exterior shots — which means that there’s no “girls room” with posters of Monkees in it or “boys” room with a triple set of bunkbeds — much of the interior still maintains its ‘70s-era, vintage vibes. The living room boasts a rock-wall fireplace, wood paneling and a built-in bar that's perfect for '70-style entertaining. The two master-style suites have been untouched by time, and are decked out in wallpaper that will make you feel like you've been transported into another era. There’s also an old-school kitchen that’s perfect for whipping up some of Alice’s famous pork chops and apple sauce. And in true "Brady Bunch" fashion, there is also a full-house intercom (for calling, “Marcia, Marcia Marcia!”) and radio still intact. The home sits on nearly one-third of an acre and abuts the river, making it one of the most desirable properties in the area. It also means that the backyard is definitely big enough for potato sack races. According to the listing, the home is the second most photographed home in the United States after the White House. The area of Studio City where the home is located has been popular site for renovations, which has some fans worried that this piece of history may be sold and torn down. TODAY has reached out to Douglas Elliman for comment.